Really, it’s never nice to be told what you are. But that’s not what I want to comment on. I want to challenge the idea that the biggest difference between the quoted person and me is that they are parents and I am not. If you search the scientific literature, you don’t read that traumatised children thrive best with people who have experience raising a ‘difficult child.’ You read that traumatised children thrive best with people who have experienced and resolved their own trauma successfully — presumably because these sorts of parents have genuine empathy and resilience. Experience raising a child doesn’t really factor into that equation, because people don’t need to be experienced parents to have the resources, understanding and motivation to take care of a traumatised child. In my masters training, I was told by a child psychotherapist that “children choose” who to trust. They “choose” based on their complex experiences, or rather — how their experience of you fits into their previous experiences. It is a mostly automatic process, as people do not always have the capacity to step back from and challenge the connections between emotions, thoughts and behaviours. As I observed child-adult interactions for my course, I saw this in practice: we are all captive to our life experiences. It is difficult to challenge our semi-automatic judgments of people, including ourselves. I am a prospective adopter. But my ideas of what it is like to “actually parent one of the most difficult children in the system” come from my own life experiences not my adoptive status nor the amount of time I’ve spent reading adoption boards. I trust that my home study will fully explore these experiences in order to answer that very question. I may even share a bit of my history with you here. Please don’t mistake this future disclosure of information as seeking your approval, as I don’t want or need it. The only people that matter regarding my parenting skills are the people in my care and the people who sometimes act on their behalf (aka the social workers). What I can offer you, dear reader, is the same respect, consideration and acceptance of your disclosures that I demand for mine. I understand that we may have had different experiences; we may make different choices. But we are united by how we take responsibility for those experiences and choices: our actions, our beliefs. We strive to understand, to know more, to do better. We share our vulnerabilities and strengths, by our own choice, and in time we realise that respect has less to do with shared experiences and everything to do with acknowledging ourselves. I empathise with the original source of the quote. They were motivated by a desire to protect the vulnerable members of their group. I am reminded again that I’m an outsider a prospective adopter. As an outsider a prospective adopter, I have no leverage to challenge the way things are done. Strange how this experience of rejection and frustration feels a little like… a real idea relevant life experience. 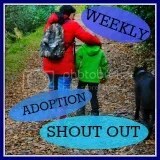 promote adoption as a means of therapeutically parenting children in need. We have been married for just under ten years, and it hasn’t been easy. Hand-stitched dad and I struggled through several pregnancy losses and endless tests before accepting that we would not be able to conceive a family through the traditional route. We opted not to have fertility treatments. Instead, we have spent the last few years re-building our relationship, strengthening our support network, and preparing ourselves for the biggest roles of our lives: becoming adoptive parents. We chose the name ‘hand-stitched family’ because adoption is a bit like that for us: purposefully stitching together a family. It will be slow, hard work, sometimes painful even, but we have the confidence that somewhere out there is a child (or two) that will be better for belonging with us. So, please join us as we get to know ourselves and each other in the process of hand-stitching our family.